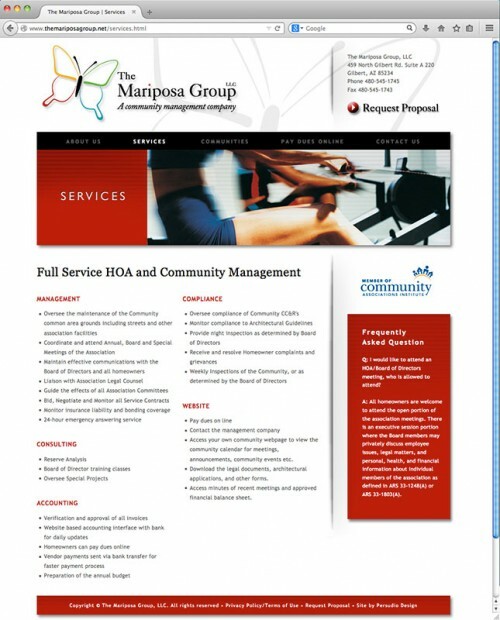 The Mariposa Group is an HOA management company in Gilbert, Arizona. 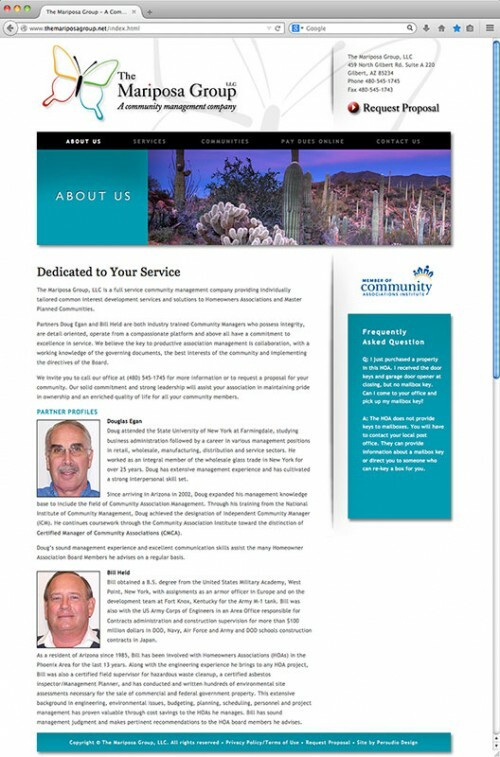 The branding and adverting campaign included logo design, a website that included special access for their HOA clients and custom CMS, a direct response brochure, and a call-to-action post-card campaign. 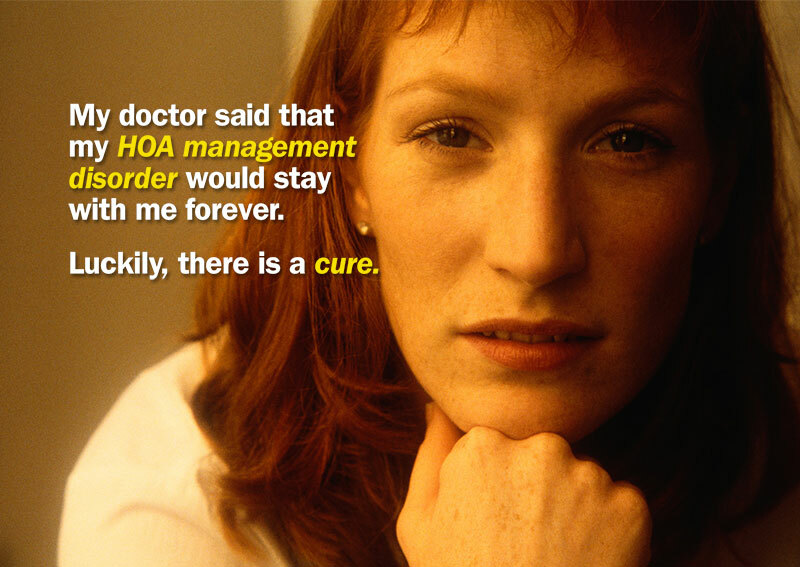 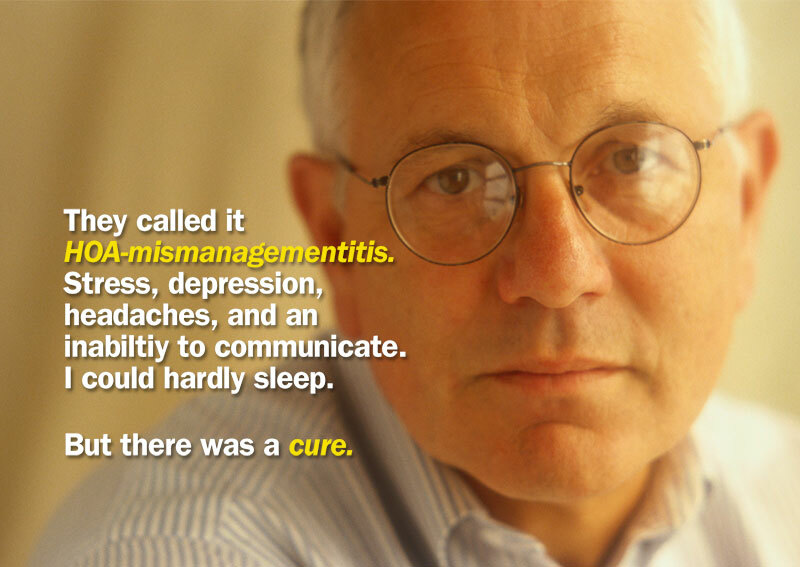 The direct-response advertising concept behind the post-card campaign was to present HOA management problems as a disease that only The Mariposa Group could cure. 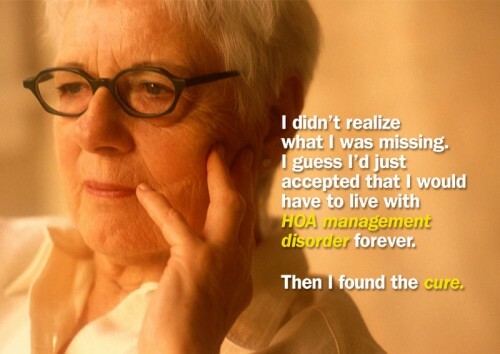 The back of the postcards said “We cure HOA management problems”. 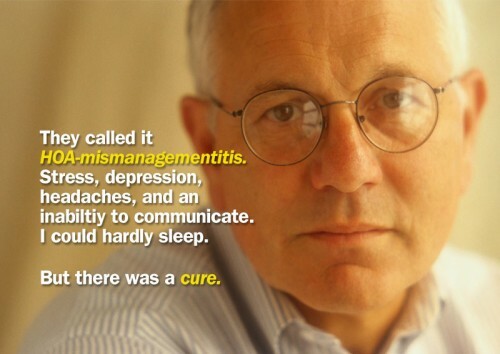 This campaign was wildly successful.